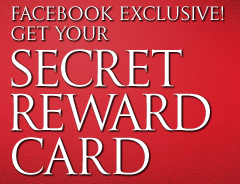 Get a FREE Victoria’s Secret Rewards Card worth $10, $50, $100 or $500 this will go live again on Thursday December 15th at 9AM EST! Victoria’s Secret is giving out 100,000 free reward cards every day for two weeks at 9am ! « Hot Deal: Disney Cars Infant 3 Piece Set! Only $22! Was $44! Limited Time!